As you well know, there’s a lot that goes into managing your staff effectively! You’ve got so many employees—each with different personalities, different strengths, different motivators, and different needs. And your job as a practice manager is to get everyone to gel as a team and advance together to move your practice forward. Let’s take a page from...Star Trek. (Yes, you read that right!) 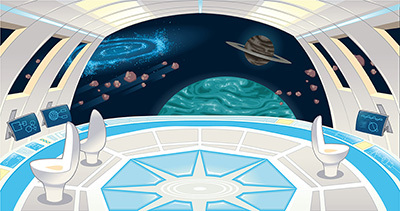 When you think of the original series, you most likely picture not just Captain James T. Kirk but also Spock, Dr. McCoy, Scotty, Uhura, Sulu, and Chekhov—the busy bridge of the starship Enterprise. Their mission—“to explore strange new worlds, to seek out new life and new civilizations, to boldly go where no man has gone before”—wasn’t pursued as a solo effort but as all the crew members working seamlessly together. How did Captain Kirk (or series creator Gene Roddenberry and a myriad of talented writers) do it? Well, he first decided on a destination and set the coordinates and speed for getting there. Second, he kept his crew engaged and focused, as well as motivated to overcome each episode’s challenge—and he seldom had anyone jump ship! Third, he valued his crew and let them know it, while also making swift course corrections when needed. Set off on the right course by communicating clear expectations and providing essential tools and training. Keep your “crew” engaged and motivated—and simply keep them! Reinforce your team members’ value and make quick course corrections with effective performance evaluations. Ready to start? Then let’s boldly get going! When it comes to getting the most out of your team, the first place to start is with communicating clear expectations, explaining how to achieve them, and then providing the support your people need in terms of tools and training. Can you imagine archery without a target? Arrows would be flying everywhere! That’s what a practice is without clear expectations. You may have a highly skilled and talented team, but if they don’t know what you want them to aim for, they’re going to be everywhere but where you want them to be. How can you communicate your performance expectations so that your staff can hit the target? By clarifying two areas: behavioral and job-related expectations. Behavioral expectations are how you expect employees to treat patients and each other. They reflect the values of your practice. 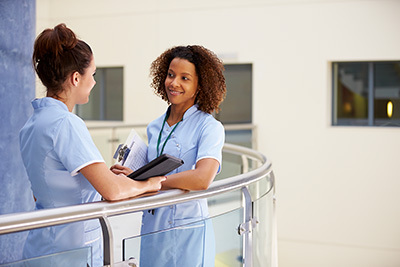 A nurse can have top-notch clinical skills, but if she doesn’t treat other employees respectfully and doesn’t show empathy toward patients, she isn’t meeting behavioral expectations—and she (and your practice) won’t be successful. As a manager, you need to clearly explain these expectations to all employees, map out ways to achieve them, and make them part of your staff members’ annual review. What would you add to this list for your practice? You’ll also want to use your standards in your ongoing coaching, as well as incorporate them in annual performance evaluations to keep your team accountable. And of course, there’s no better way to lead others than to walk your talk. Are you greeting your team members and patients with a smile? Do you go out of your way to help patients and staff? Do you practice active listening with both patients and your team? Are your words and actions honest, kind, and respectful? You can only hold others accountable for the things you’re doing yourself. One way to make behavioral expectations part of daily life in your practice is to have a “Standard of the Month,” where you talk about and highlight one standard and then reward those who excel at meeting it. Job-related expectations describe the essential functions, tasks, and responsibilities of the job, and you’ll naturally communicate them with an up-to-date job description. But you’ll need to go beyond the job description—which often gets filed away and forgotten—to communicate clear performance expectations. One way to do this is to set goals with each team member. These goals will be performance criteria, so they need to be clearly defined and objective so that employees understand how they’ll be evaluated at review time. Some of these may be individual goals, while others may be based on overall practice performance. Finally, it’s crucial to review both your behavioral and job-related expectations during onboarding and annual reviews—and to have your employee sign a document saying that they’ve read and understand them. Then place a signed copy in the staff file. This will help avoid confusion at performance review time, because the employee has acknowledged that he or she understands all expectations. In addition to clearly spelling out your behavioral and job-related expectations, managing your employees well also means ensuring that your staff gets the appropriate training and tools to do their jobs successfully. Having the proper training and tools to do the job are critical factors to your team’s success. No employee, no matter how skilled or experienced, will know all your practice protocols and behavioral standards on day one. Also, when you invest in your employees, they’ll feel valued and cared about and will, in turn, invest themselves even more in your practice. An excellent way to organize the tools and training you want to give your new employees is by using simple checklists. 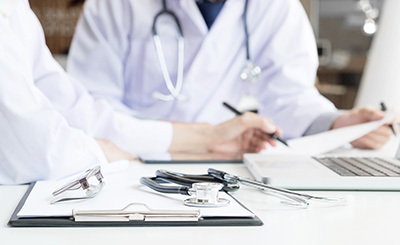 To create the best checklists, be sure to include a member from every area of your practice—physician, clinical, front desk, etc.—to make sure you’re covering all the important training items. Also, be sure to make it safe for your employees to ask questions or request more training. Do all you can to let the new person know you want to do everything possible to set him or her up to succeed! After a month or two, perform competency checks for all required skills and protocols. Competency checks shouldn’t be stressful or punitive. Instead, they’re here to help you find out where the employee requires additional training and guide you in providing the support he or she needs to flourish. Keep a copy of the competency check in the employee’s file for future reference. It’s so much easier (and cheaper!) to keep your top employees than have to find new ones. This means keeping your people motivated and engaged. After all, we all want employees who give 110% and care about our practice’s success! Let’s look at several strategies that will help you do just this. Connecting at this basic human level lets your employees know that you genuinely care about them as individual people—that you value them not just for what they do but for who they are. This may sound basic, but it goes a long way toward creating a happy, healthy workplace that your staff wants to come to every day. Make it a habit to meet regularly with your employees one-on-one in a process called “rounding.” Rounding helps you develop strong personal and working relationships with each team member and communicates how much you value them. It also helps employees feel they are doing important work. During rounding, follow these five steps and ask your employee specific questions. Be sure to follow up on the suggestions and requests that result from your conversation! Try to round on each direct report monthly—and have your supervisors do the same with their employees. It doesn’t have to take much time (10 minutes should do it), but you’ll reap the benefits of improved relationships and regular input on how well your practice is functioning. You’d be amazed at the power of a simple, “Thank you!” Whether it comes from a physician or a manager, a sincere thank-you makes an employee feel seen and appreciated rather than taken for granted. So look for opportunities to recognize your employees, and be specific about what you’re acknowledging them for. In addition to a verbal thank-you, consider writing thank-you notes as well. These are powerful—especially when sent to the employee’s home, where he or she can show it off to their family. Make it a habit to write three thank-you notes per month to your staff members—starting today! Create a simple recognition program where your team members can recognize each other, and your patients can recognize your staff. One idea for doing this is to give “High Five!” cards to the recognized team members, and then hold a monthly drawing for gift cards. Another great way to reward and recognize your employees is to celebrate with them! For example, you could bring in lunch or dessert to recognize everyone’s efforts when your practice hits certain milestone goals like patient satisfaction scores, collection targets, quality marks, and so forth. The key is to delight in your team’s accomplishments—and show it! What things have you done to motivate your staff? Another essential in motivating and retaining your employees is to give them room to grow. So talk with them about their career aspirations, and help them get where they want to go. Now, this can be challenging in small practices, where there might not be a lot of different opportunities available. But this doesn’t mean that you’re out of the running. Growth can be horizontal as well as vertical. For example, can you offer cross training with other employees and roles? Or can you make a team member a lead on a particular project? The important thing to do is ask your employee what he or she would like to learn, and then work together on a plan to make it happen! What are the barriers to fulfillment that you see? How do you feel about our working relationship? What would motivate you to stay? Your aim with a stay interview is to remind your employees how much you value them and to find out what you can do to help them become more successful. So engage with each of them personally, maybe over a cup of coffee outside the office. Show your genuine, authentic interest in him or her as a person. These interviews will yield valuable information about how you can make your practice a place where employees truly enjoy coming to work each day! Just be sure to put this information into practice. Follow up and make changes—today!—where you need to. In addition to stay interviews, you can also use anonymous employee surveys to find out how your staff feels about working at your practice. Anonymity sometimes provides greater freedom to speak honestly, so pay attention to the feedback you get from these surveys. You’re bound to discover some very helpful insights; just remember to follow up on them and make any necessary changes. Finally, don’t forget about how powerful the basics of good compensation and benefits can be. Now, this can be challenging for small practices—it may not be possible to offer the same compensation and benefits that hospitals and large practices can. Still, you want to keep your compensation as competitive as possible for your geographic area. Also, think outside the box—provide flexible and part-time work schedules, for instance. And remember the value of intangibles: provide great coffees and teas (maybe even gourmet? ), cater lunches occasionally. These gestures are important ways to let your employees know that you’re thinking about them. Okay, now that you’ve set a clear course and equipped your employees for getting there, as well as engaged and motivated them so they’ll stay committed to you, it’s time to reinforce what they’re doing right and correct course where they might be going astray. And that’s where performance evaluations come in. Let’s spend some time on these next. A performance evaluation is an assessment of an employee’s performance against a set of previously defined performance criteria. It provides feedback to the employee on areas where they need improvement and/or additional training, as well as positive reinforcement about areas of accomplishment. Overall, a performance evaluation should be positive and motivational rather than negative. Ideally, you’d like your employees to walk away from their performance review feeling engaged and motivated to contribute! Employees should never hear about performance problems for the first time during their evaluation; performance issues should be addressed when they occur, with regular follow-up as needed. You’ll want to do performance evaluations annually at least—more frequently if there are any performance problems. And you need to document everything. Just as with clinical documentation, if you didn’t write it, you didn’t do it. Keeping a written record is essential for protecting the practice in case of any legal disputes. Remember all that hard work you did back in step 1 setting clear behavioral and job-related expectations for your employees? That’s going to help you tremendously when you do performance evaluations! You’ve already documented goals and expectations for each employee and had them sign off, so you both understand clearly what is expected. And you’ve already explained how you will assess performance, so there should be no surprises there. Ask the allergists, nurse practitioners, and physicians assistants for their feedback on medical staff. Since they work with them day in and day out, they’ll notice things that you might not see, or pick up on changes that need to be addressed. 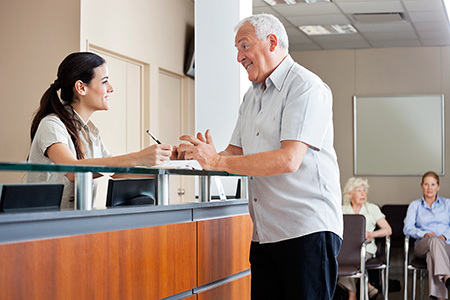 Implement a patient satisfaction survey. This can be extremely informative in discovering how patients feel about staff. Spend time discussing the employee’s positive performance. For good performers, this should take up at least 50% of the conversation, and it’s an opportunity to discuss how they can continue to grow and contribute. Your employees will find this rewarding and motivating! Be clear about performance issues and include specific examples. But also let them know you have confidence in their ability to improve (More about this in a minute). When you’re doing your evaluation, be objective and consistent. Measure a team member’s performance against the behavioral and job-related standards you’ve both agreed on. Also, from time to time, ask them where they’d like to be in one year, two years, three years. Would they like more education? Would they like to pursue a certification? Work with them to map out a plan for how to get there. Be sure to provide any coaching or retraining support this employee may need, and reinforce your confidence in their ability to improve their performance. Remember, your goal is to see them succeed. Also, it’s especially important to follow up on any performance issues. If you don’t, they’ll just multiply. And the employee will not only lose confidence in him- or herself, but in you as well. Finally, it’s difficult and expensive to defend legal challenges if you haven’t been consistent in addressing performance issues fairly, clearly, and promptly. Communicating your behavioral and job-related expectations clearly, and training and equipping your employees for success. Motivating, engaging, and retaining employees by connecting with them regularly, rewarding and recognizing them, and providing growth opportunities and a competitive compensation package. Shouting out the good and correcting what’s going astray by evaluating your employees fairly and consistently at least once a year. With these principles in place, your practice will be a place your employees look forward to coming to each day and giving their best! Being a good manager isn’t about asserting control or showing who’s boss. Rather, good managers are more like mentors—teaching, encouraging, walking alongside. You want to dispel confusion and replace it with clarity, cultivate an environment of learning, and invest in each team member’s growth and development. When you do this, your team—and your practice—will thrive! Paul Edwards, "5 Critical HR Tasks That Will Strengthen Your Practice." Shannon Geis, "Engagement and Growth Opportunities Are the Key to Retention." Shannon Geis, "To Keep Top Talent, Talk To Employees About Their Workplace Needs." Susan M. Heathfield, "10 Key Tips for Effective Employee Performance Reviews." Susan M. Heathfield, "What Is a Stay Interview with Employees in the Workplace?." Joy Hicks, "Measuring Medical Office Staff Performance." Barbara Hotko, "Rounding for Outcomes: How to Increase Employee Retention and Drive Higher Patient Satisfaction." Stuart Pollack, "AMA Steps Forward: Creating Strong Team Culture." Kay Tyler, "Employee Recognition Programs: What Really Works Is Free!." Shelly Waggoner, "Keepers: How to Retain and Empower Your Best Employees." 1 Stuart Pollack, "AMA Steps Forward: Creating Strong Team Culture." 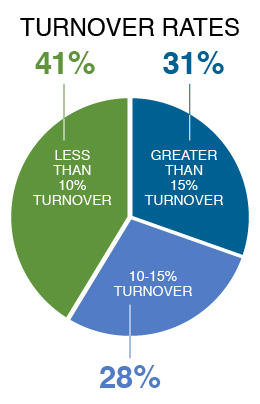 2 MGMA Stat, "Health Leaders Report Highest Turnover in Clinical Support Staff Positions." 3 Barbara Hotko, "How to Increase Employee Retention and Drive Higher Patient Satisfaction."